Venture capital, bootstrapping, taking out loans, maxing out credit cards — these are the financing modes you hear most about when entrepreneurs kickstart their companies. They're also the first options that come to mind for scaling. But what about using crowdfunding platforms like Indiegogo and Kickstarter to launch or scale a startup? During a recent RocketSpace talk about crowdfunding for startups, Indiegogo CEO David Mandelbrot and Curb founder and CEO Erik Norwood discussed best practices for using crowdfunding as a means for validating a product idea and raising capital. They elaborated on two key methods now available: traditional perks-based crowdfunding and equity-based crowdfunding, the latter of which we elaborated on in a previous post. Mandelbrot joined Indiegogo as SVP of Operations three years ago and took the helm as CEO in January, while Norwood launched Curb on Indiegogo during the fall of 2015, raising more than $185,000 and shipping products in January. 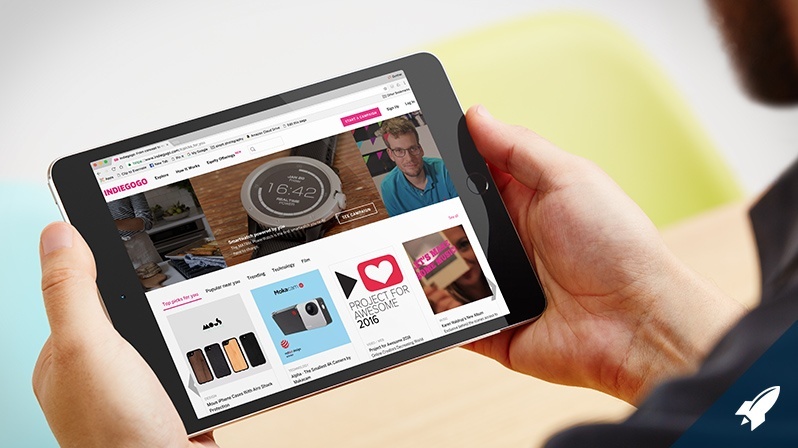 The two pointed out three key reasons to consider perks-based crowdfunding for your startup. Curb is a home energy management system that enables its users to identify and then solve energy issues. Refrigerator about to die? Left the iron on? Curb will let you know. Norwood says Curb tested three value propositions during its Indiegogo campaign: saving money, safety and convenience. "[Indiegogo] helped us tune in our marketing, and we were able to do that very, very quickly — in literally days, [we] could see feedback from targeted advertising on Facebook and dollars showing up on Indiegogo. It was a very effective tool for confirming our assumptions or finding out [where] we were wrong." Investors will tell you that there are two things they care about: Do you have the right team to build the product you're pitching? And is there a market for your offering? The best way to prove both is traction. "Pre-orders" are an effective tool to demonstrate momentum. Norwood says he used Curb's crowdfunding campaign to signify market demand to a group of reluctant angel investors he was pitching. The angels were potentially interested in putting $500,000 in his seed round but wanted to see more traction. He launched a crowdfunding campaign and raised $20,000 on day one. He re-pitched the angel group on day two, and they were astounded by his "$10,000,000 run rate" and the fact that Curb might be undervalued. They were in. Both speakers pointed out that some critics of crowdfunding have a perception that it's a "desperate" measure for "raising money at the only place you can get." Norwood says his experience with investors was quite the opposite. "They said, 'We don't care. If you raise $1 million and you use that capital to sell more products, launch more features, get more customers, we don't care where it came from. We're willing to work with you if the product/market fit is there.'" Far from being a hindrance, perks-based crowdfunding can be a serious advantage since it allows founders to raise money while still maintaining control of their company. Instead of selling equity, they are effectively "pre-selling" their product, while simultaneously building an engaged customer base that believes in their business so much that they'll order a product before it's been fully designed or manufactured. Flow Hive, a new beehive for honey harvesting, for example, raised more than $12 million last year on Indiegogo during its two-month campaign, with a goal of just $70,000. With Indiegogo InDemand, which enables entrepreneurs to continue pre-selling products even after a crowdfunding campaign has ended, Flow Hive has now raised $13.25 million. The father/son duo behind the campaign now have a full beehive manufacturing facility, Mandelbrot says, and they fully own their company. In the end, the choice to crowdfund is a strategic decision. Early consumer feedback, ease of future raises and ownership considerations are all valid points of discussion. 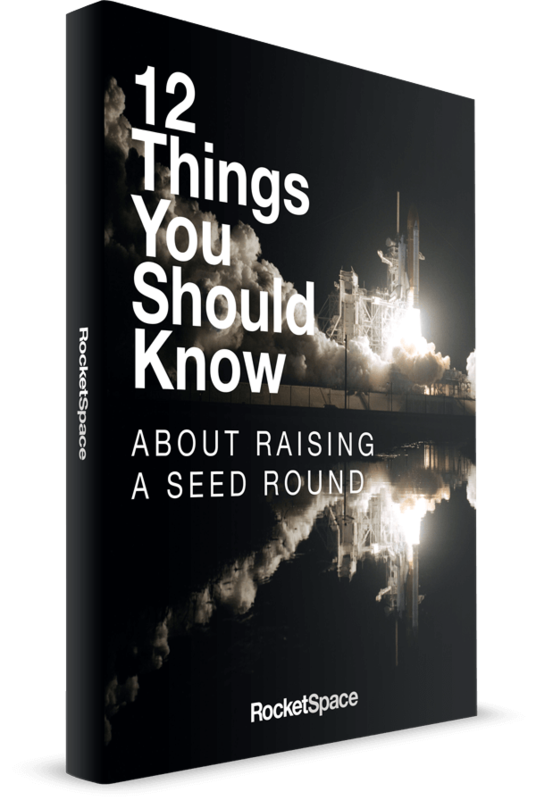 If you're interested in digging deeper into whether perks-based or equity-based crowdfunding is right for your startup, watch the recorded RocketSpace talk.